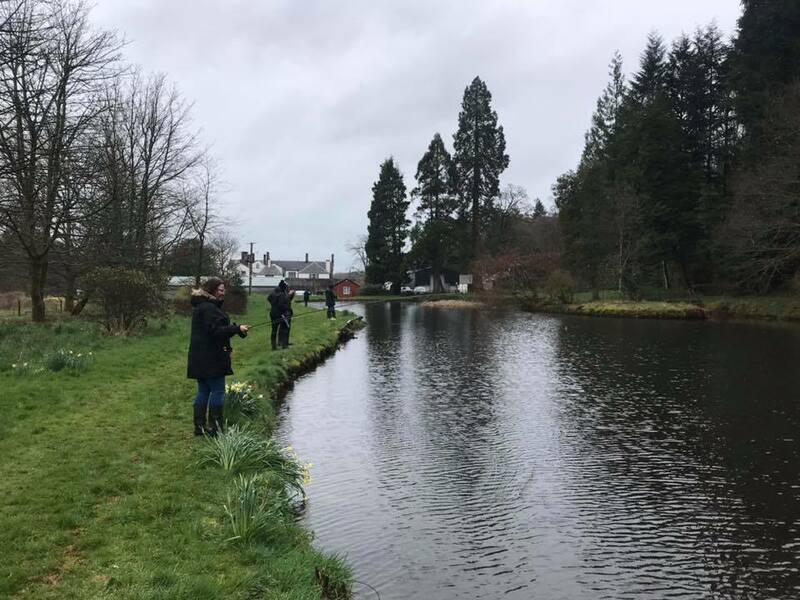 Today Debbie and Davie were out fishing with pupils from Miss McCormick’s Rural Skills class from St. Joseph’s College. First we headed down to the river where they released the salmon fry that they had been rearing in their classroom for the last 6 weeks. We then headed back to the warmth of the classroom to have an early lunch, much needed on such a cold day. Clive and Roger from Borderlines taught them about the anatomy of a fish, how to tie knots, what flies to use and how to cast a fly using a roll cast before the group started fishing for rainbow trout in Blackwood Pond. The cold snap had pushed the fish down and it was a slow start but, as always we fish for the conditions and managed to end the day with 6 fish on the bank. These were gutted and cleaned so that they could be taken home to be cooked. Well deserved fish and chips for dinner tonight! 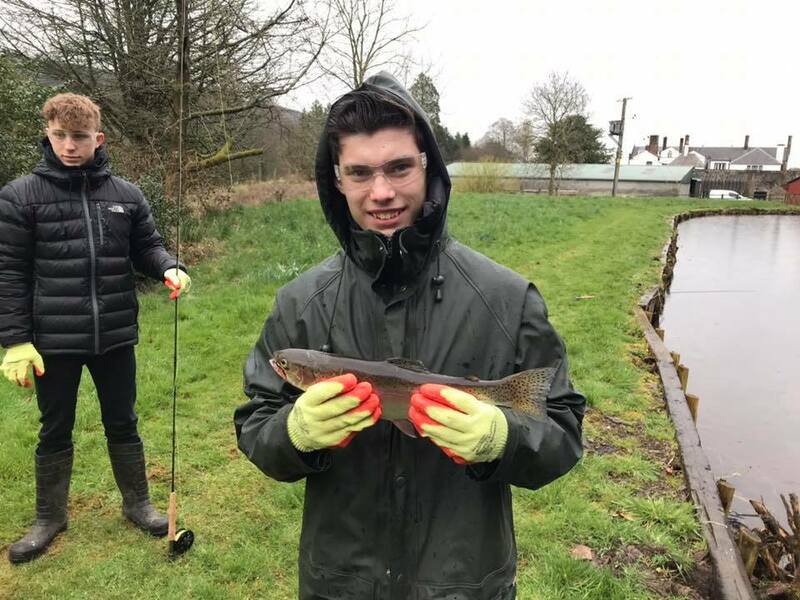 This entry was posted in Borderlines, education, environment, fishing, fly fishing, Nith trust, River Nith, Schools, Scotland, youth and tagged anglingforall, Borderlines, education, environment, family, Fly fishing, funding, Nith Trust, outdoors, River Nith, schools, youth on 8th April 2019 by Glyn Freeman.